250ml Immerse yourself in peace! 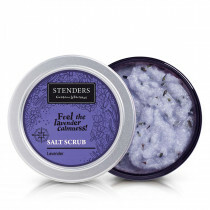 Immerse yourself in the soft foam and enjoy a truly calming bath. While you take a relaxing soak, the softening aloe and rejuvenating burdock extracts care for your beauty under the duvet of foam. 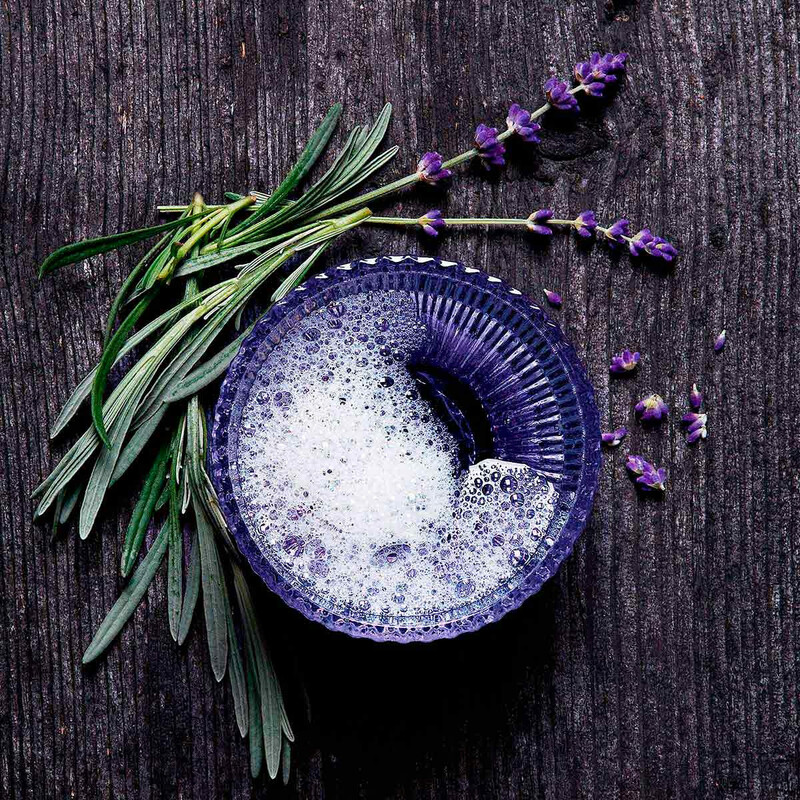 And the aroma of the lavender essential oil, if only for a moment, will make you forget your daily troubles. Aqua (Water), Sodium Laureth Sulfate, Polysorbate-20, Cocamidopropyl Betaine, Parfum (Fragrance), Cocamide DEA, Sodium Chloride, PEG-7 Glyceryl Cocoate, Cocamidopropylamine Oxide, Propylene Glycol, Lavandula Angustifolia (Lavender) Oil, Aloe Barbadensis (Aloe Juice) Extract, Arctium Lappa (Burdock Root) Extract, Phenoxyethanol, Ethylhexylglycerin, Citric Acid, Sodium Benzotriazolyl Butylphenol Sulfonate, Tetrasodium EDTA, CI 16255, CI 42090, Geraniol, Linalool, Cumarine, Limonene, Citral, Benzyl Salicilate. 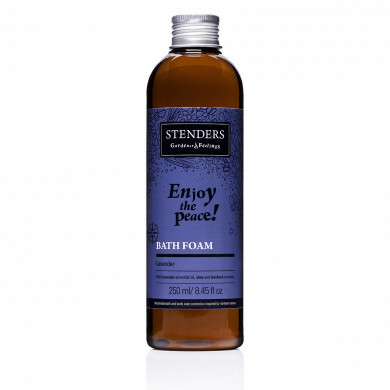 To create splendid clouds of foam, pour 60ml of bath foam under running water. For a special mood, light an aromatic candle, fill the room with the sounds of music and enjoy bathing for up to twenty minutes. 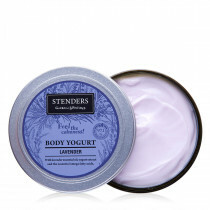 After your bath remember to treat your skin with lavender body yogurt or jasmine body butter. 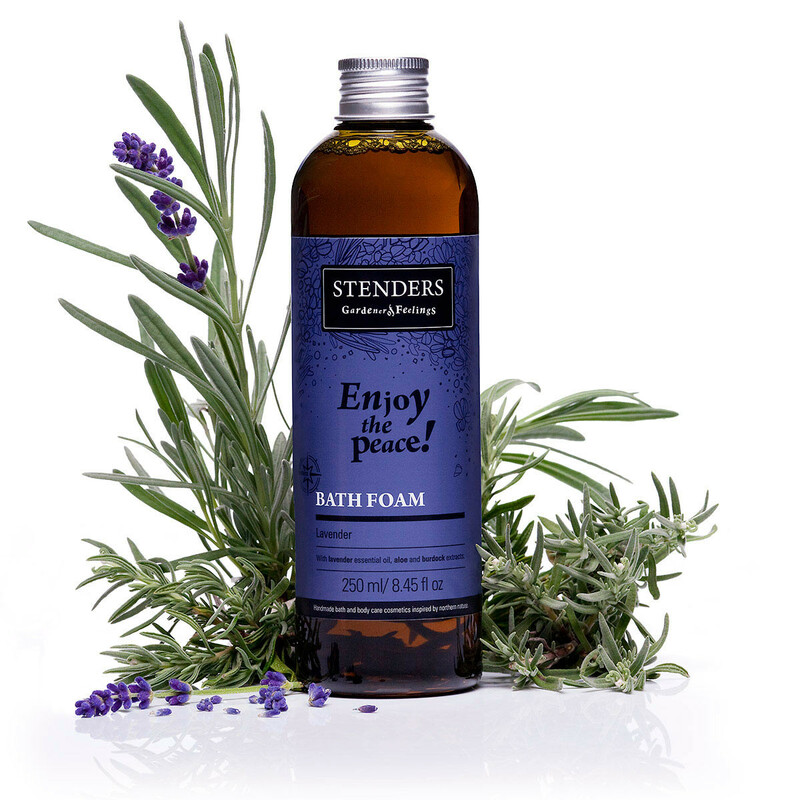 A bath is the perfect prelude to a massage with massage oils from STENDERS garden of feelings.